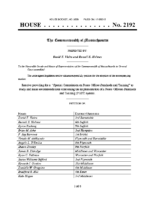 The following are current, pending and active Bills in the Massachusetts State Legislature. 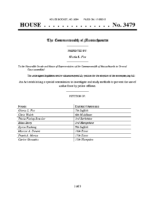 By Mr. Carvalho of [SPONSOR CITY], a petition (accompanied by bill, House, No. 1227) of Evandro C. Carvalho and others relative to the process for the investigation of officer-involved deaths. The Judiciary. By Mr. Rushing of Boston, a petition (accompanied by bill, House, No. 1575) of Byron Rushing and others for legislation to improve the collection and analysis of data relative to traffic stops. The Judiciary. 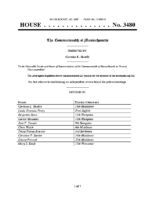 By Mr. Carvalho of Boston, a petition (accompanied by bill, House, No. 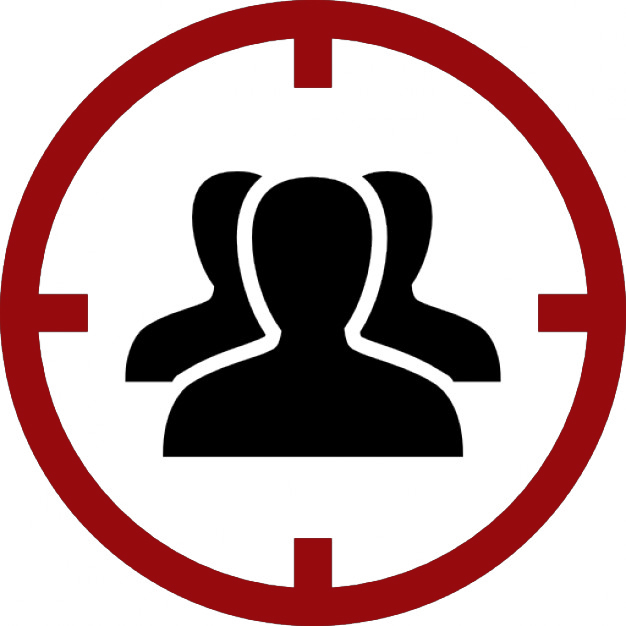 2106) of Evandro C. Carvalho and others relative to uniform use of deadly force guidelines. Public Safety and Homeland Security. 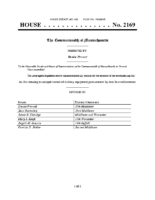 By Ms. Provost of Somerville, a petition (accompanied by bill, House, No. 2169) of Denise Provost and others relative to military equipment procurement by local law enforcement departments. Public Safety and Homeland Security. By Ms. Provost of Somerville, a petition (accompanied by bill, House, No. 2170) of Denise Provost and others relative to body-worn cameras by law enforcement. Public Safety and Homeland Security. 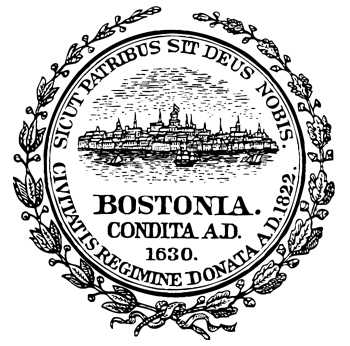 By Ms. Fox of Boston, a petition (accompanied by bill, House, No. 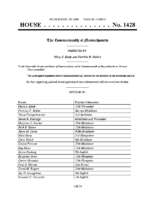 3479) of Gloria L. Fox and others for legislation to establish a special commission (including members of the General Court) to investigate and study methods to prevent the use of undue force by police officers. Public Safety and Homeland Security. By Mr. Gentile of Sudbury, a petition (accompanied by bill, House, No. 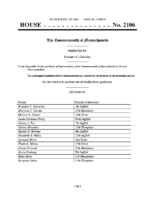 3480) of Carmine L. Gentile and others for legislation to establish an independent police conduct review board. Public Safety and Homeland Security. By Ms. Chang-Diaz, a petition (accompanied by bill, Senate, No. 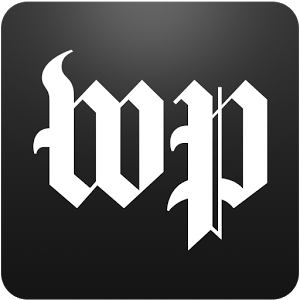 736) of Sonia Chang-Diaz, Chris Walsh, Jay R. Kaufman, Linda Dorcena Forry and other members of the General Court for legislation relative to traffic and pedestrian stop data. The Judiciary. 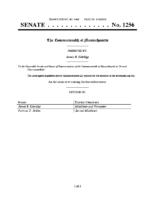 By Mr. Eldridge, a petition (accompanied by bill, Senate, No. 1256) of James B. Eldridge and Patricia D. Jehlen for legislation relative to training for law enforcement. Public Safety and Homeland Security. 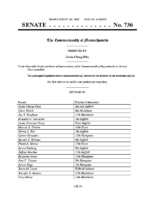 By Mr. Eldridge, a petition (accompanied by bill, Senate, No. 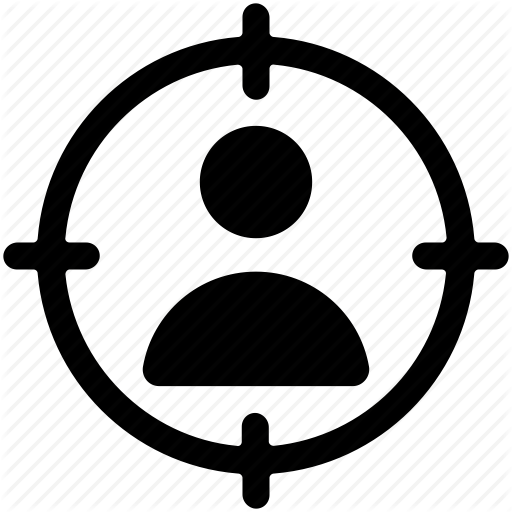 1257) of James B. Eldridge, Mary S. Keefe, William N. Brownsberger, Benjamin Swan and others for legislation to promote use of body-worn cameras by law enforcement. Public Safety and Homeland Security. By Ms. Forry, a petition (accompanied by bill, Senate, No. 1263) of Linda Dorcena Forry, Byron Rushing, Sonia Chang-Diaz, Chris Walsh and other members of the General Court for legislation relative to pedestrian stop data. Public Safety and Homeland Security.